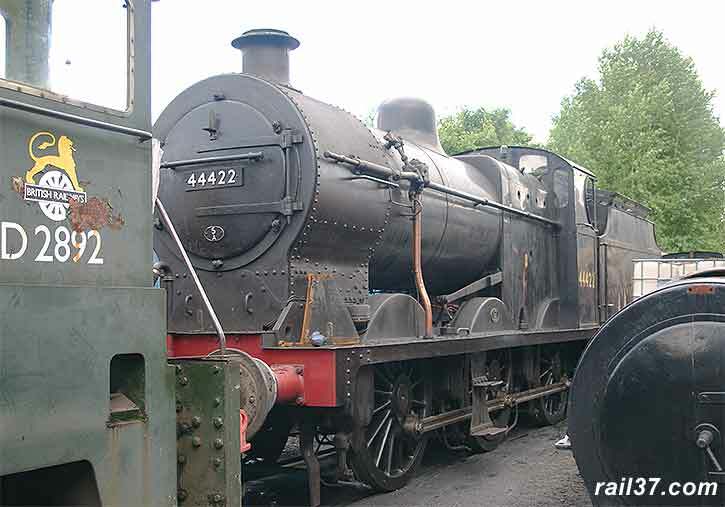 44422 is currently sidelined at Llangollen with a faulty blower ring. 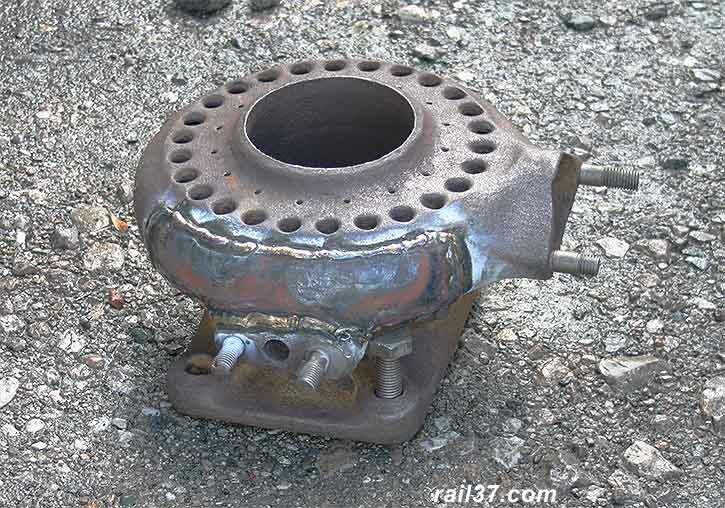 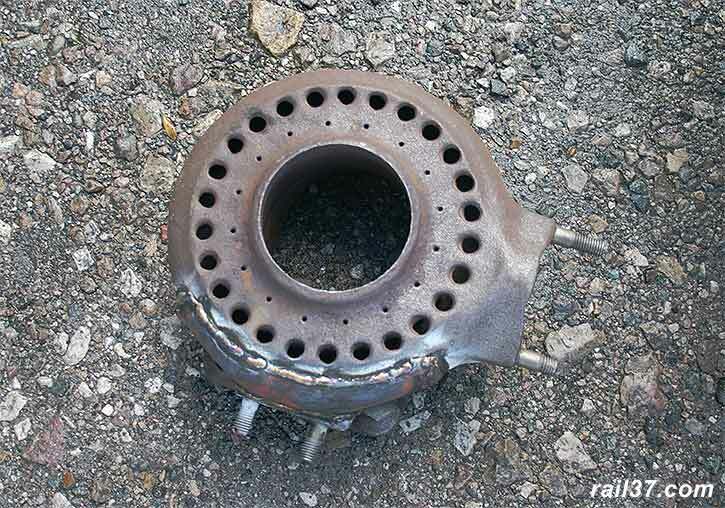 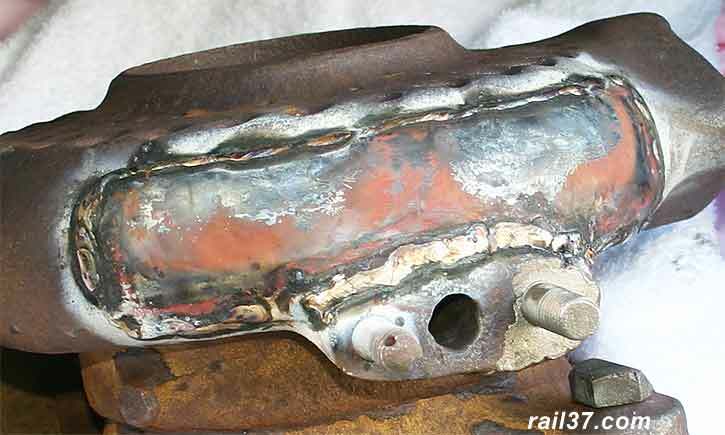 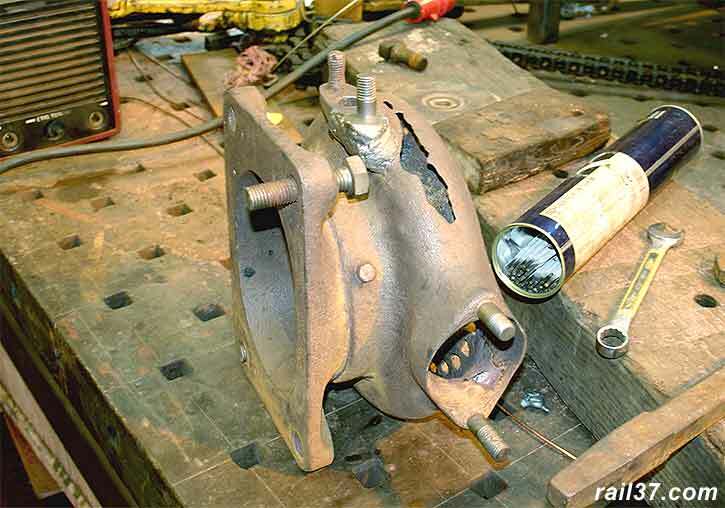 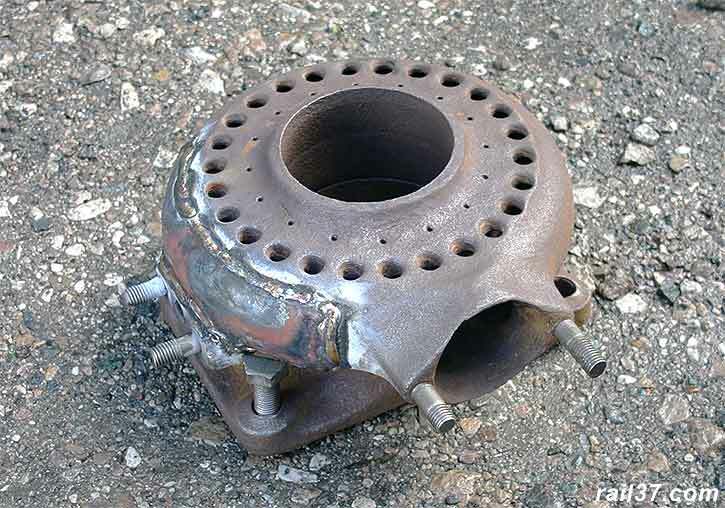 This was the culprit on the bench at Crewe awaiting temporary repairs while another casting is produced. 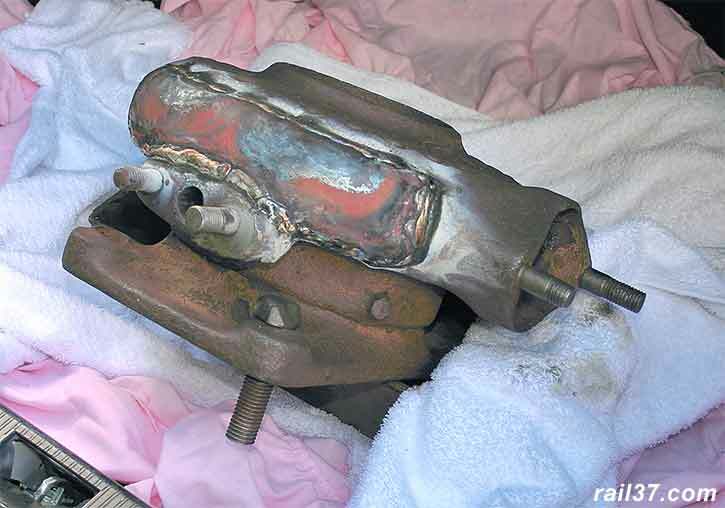 This was the repair - a work of art. 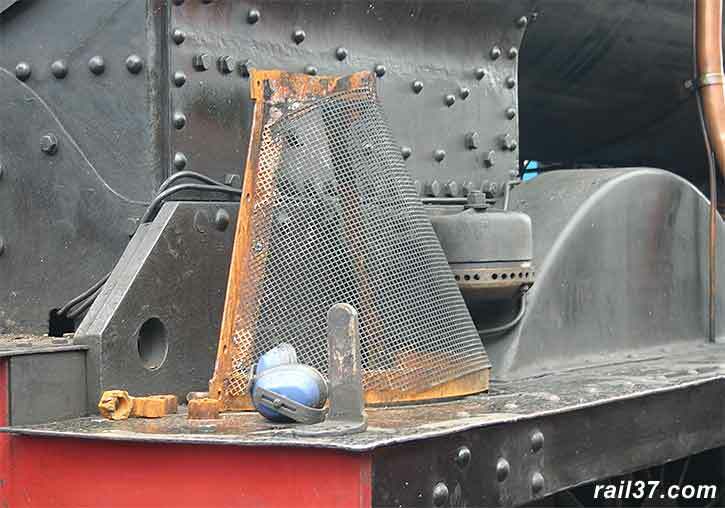 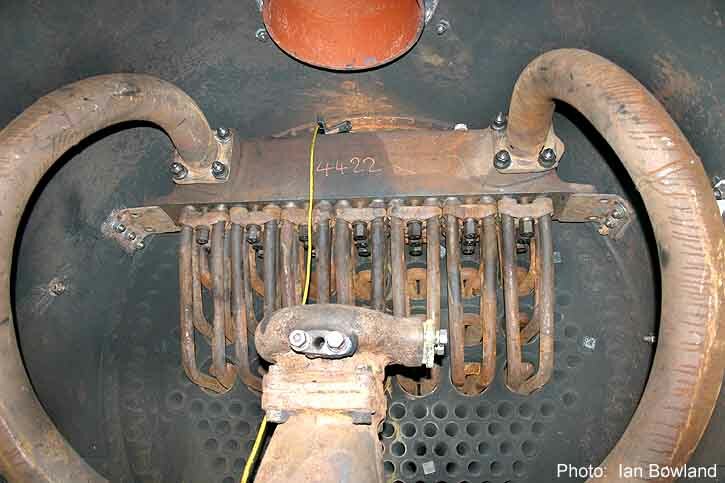 The casting can be seen in its rightful place in the smokebox of 44422 during the 2005 overhaul..